Southland Racing receives a casino, while the Arkansas Racing Commission also will add money to the purses at the greyhound track. Arkansas Issue 4, which asked whether voters would authorize 4 new casinos in the state, won approval in the November 6 midterm elections. Arkansas voters approved the referendum by a margin of 54.07% to 45.93%. A total of 450,335 Arkansas citizens voted for the measure, while the 382,611 voted against casinos. The bill proposed one casino each in four separate counties: Crittenden, Garland, Pope, and Jefferson. Two of the casino developers were stipulated in the amendment proposal (Oaklawn, Southland), while two of the developers will be chosen in a casino licensing process set for next year. The referendum had been a source of considerable controversy in the months leading up to the election, as Arkansas Attorney General Leslie Rutledge‘s support of the referendum was condition. As late as September, groups took the Arkansas AG’s office to court to have the referendum removed from the November ballot. An Arkansas judge rejected the lawsuit, allowing Issue 4 to go the voters. Opponents of the amendment to the state constitution argued that Issue 4 was worded so narrowly that voters could not get a sense of who would profit from the vote. For instance, arguments were made that the Southland Racing Corporation and Oaklawn Jockey Club, two existing Arkansas gaming operations, were not mentioned in the referendum. Also, voters were not told that out of state tribal gaming interests from Oklahoma funded the petition drive for the referendum. Ultimately, with 87% of precincts reporting, the margin of the vote was enough for election experts to say the measure passed. Under terms of the referendum, the new casinos will be taxed at a rate of 13% of net casino gaming receipts on the first $150 million revenues generated. After that, the tax rate will be 20% on the net casino gaming receipts. 55% of the taxes collected will go to the State of Arkansas General Revenue Fund. The remaining 45% is divided between the city where the casino is located, the county where the casino is located, and the Arkansas Racing Commission. The commisison will put the money towards purses for live horse racing and greyhound racing at Oakland and Southland. The cities where the casinos are located will 19.5% of the tax revenues, while the county receives 8%. The Arkansas Racing Commission will receive the remaining 17.5%, to be used towards race purses. 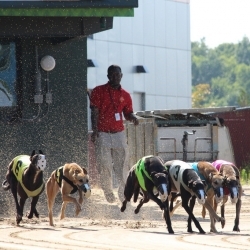 The Southland Racing Corporation is authorized to build a casino at or adjacent to Southland’s greyhound track in Crittenden County. Oaklawn Jockey Club is authorized to build a casino near the Oaklawn horse track in Garland County. The two remaining casinos will be awarded after a casino licensing process. One applicant will build a casino in Pope County within two miles of Russellville. The other applicant will build a casino in Jefferson County within two miles of Pine Bluff. To apply for a casino license, applicants must pay an application fee and demonstrate experience in conducting casino games. If such a demonstration is not possible, then a county judge must furnish the applicant with a letter of support.